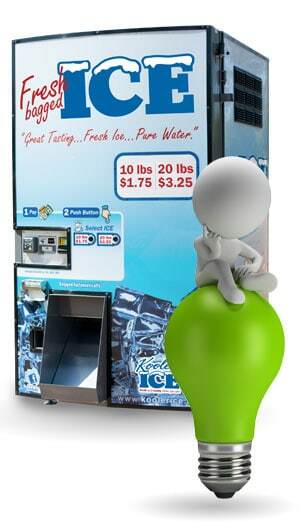 The IM1000 ice vending machine combines outstanding style with production and technology providing business owners with an eye-catching, ice vending machine that automatically makes, stores, bags and dispenses a 10 lb bag of fresh ice – on demand – quickly and conveniently! 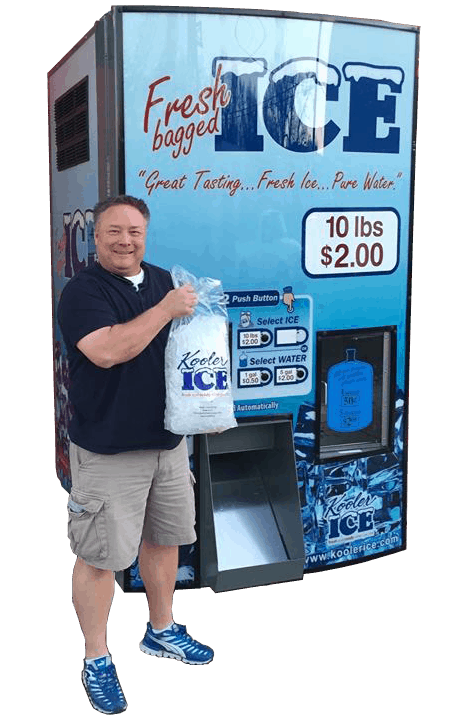 Accessible and convenient to your customers, the IM1000 earns income for your business 24 hours a day, even when your business is closed and without an attendant! When looking at machine durability, our machines quickly distance themselves from the competition with heavy duty, purpose built aluminum frames that will provide many years of rust free service life, and which were designed be placed outside to free up valuable shelf space. Our machines are environmentally friendly! 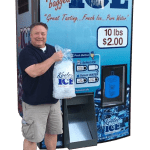 The ice is made on site and "on demand", so there is no waste of our earth's valuable resources, no toxic emissions and no residual harmful waste products. 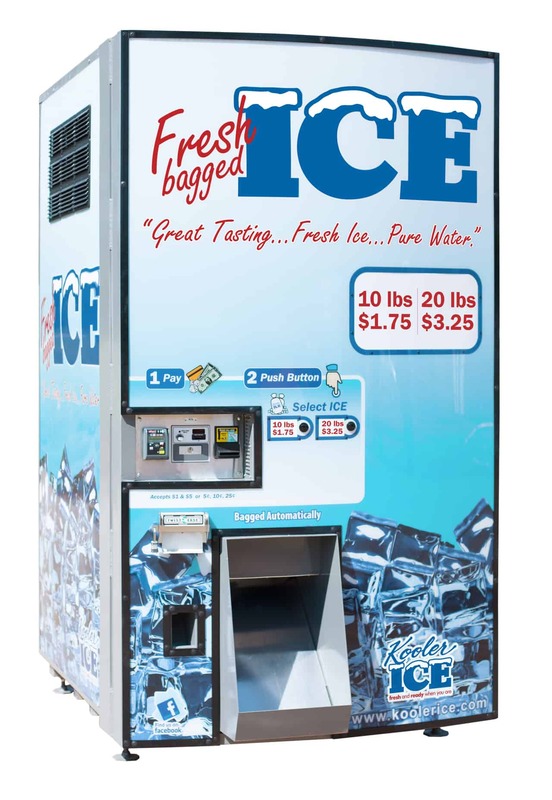 In addition, because the units do not require a refrigeration unit to keep the product frozen, it has lower utility demands as well. 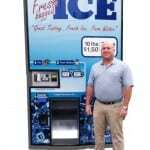 The ability to offer a one and five gallon Filtered Water Vending Station - for areas where water quality is normal. 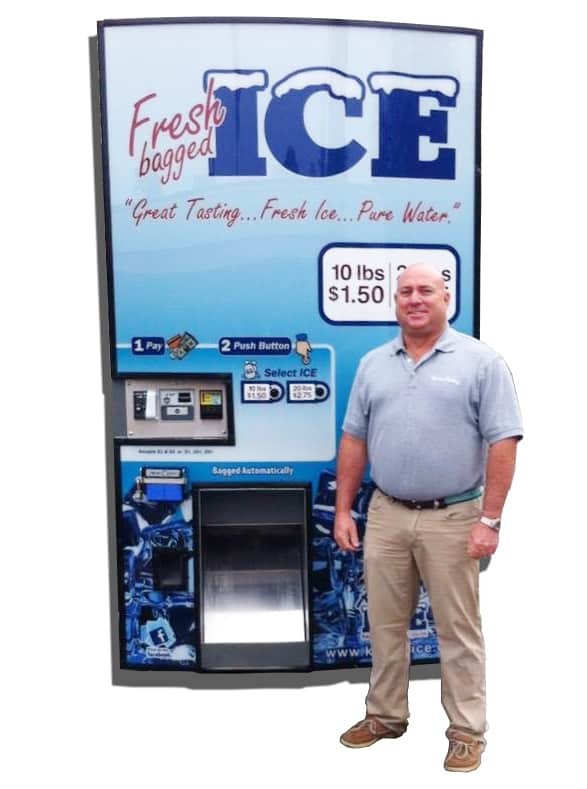 The ability to offer a one and five gallon Reverse Osmosis (RO) Water Vending Station - for areas where water quality is poor. The ability to add an optional canopy to place the unit into a stand alone application away from the building. The ability to equip the unit with (1) 10lb or (1) 16lb. 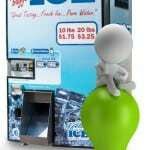 Vend Selection Button, or Two Vend Selection Buttons to vend either 10lbs and 20lbs or 16lbs and 32lbs. 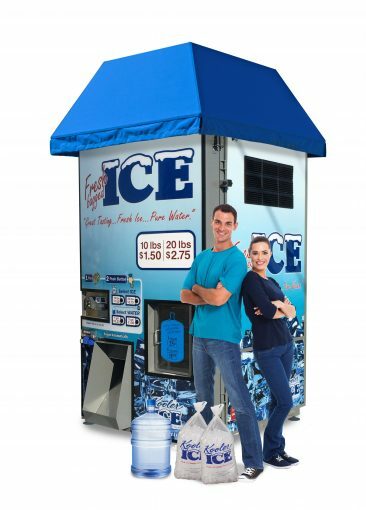 Bin Storage Capacity: 750lbs to 850lbs depending on the ice maker selected. 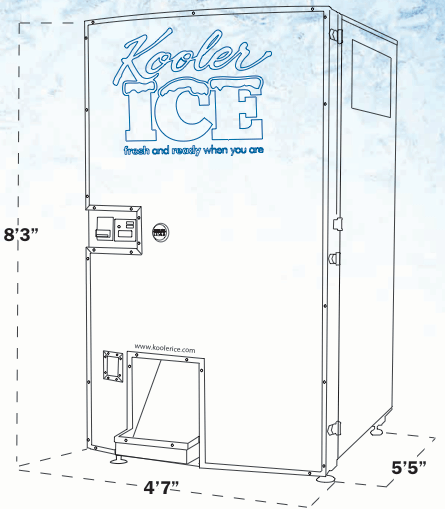 Owners have a choice of two Scotsman Prodigy ice makers: The C1448 or the C1848. Machine Features Backlit front Lexan with Graphics.